Luke Thompson Archives | HU17.net – It’s all about Beverley! 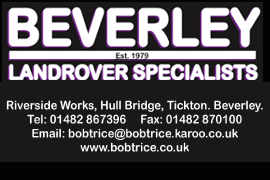 Beverley Town Football Club have moved into second place in the Humber Premier League after they eased to a 5-0 win over Hornsea Town at The Balk. A hat-trick from Craig Muirhead and goals from Alex Stark and Shaun Gibson completed a good say work for Rich Jagger’s side who made it back to back wins in the league. Beverley Town Football Club needed to dig deep as they had to come from behind twice to earn a draw away to local rivals Walkington. Beverley Town Reserves brushed aside Swine Fleet easily beating them 6-2 at Longcroft School. Beverley Town Reserves made it two wins out of two and deserved the three points that takes them to second in the East Riding County League. Beverley Town Football Club were beaten by local rivals Walkington at Longcroft School this weekend in the East Riding County League. Terry Jackson was left feeling quite chuffed with himself after he watched the Lord Nelson beat Walkington 2-1 at Longcroft School. 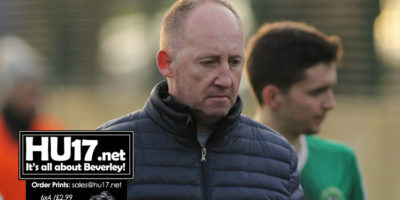 Inter Beaver manager Michael O’Connell says his side deserved all three points after they beat local rival the Humber Colts 4-3 at Longcroft School. Michael O’Connell says the Inter Beaver have a point to prove in tomorrow’s derby against the Humber Colts. Lord Nelson manager Terry Jackson feels Walkington were lucky to pinch a point after the sides shared the spoils in 4-4 draw at Broadgates. Walkington remain second in the East Riding County League after a late goal from Dean Windass sealed victory against Beverley Town. 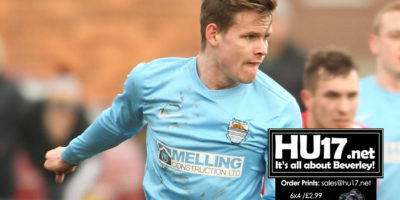 Beverley Town Football Club will be aiming to win the Humber Premier League title this weekend by securing the single point needed against Crown FC. Beverley Town have moved top of the Humber Premier League for the first time this season after they beat Pocklington Town 3 – 1. Beverley Town remain on course to retain their title after a Michael O’Connell spot kick helped salvage a point for the champions at the Norwood Recreation Ground. Beverley Town make the short trip to Hill Top in Cottingham tonight as they take on Westella & Willerby in the Humber Premier League. Beverley Town have taken a giant step to retaining their Humber Premier Title after they beat Reckitts AFC at Hull University.